It’s “Butterflies with Messages and Freedom from Within” this week on a brand-new episode of Life Speaks To Michele Zirkle Wednesday at 1:30 PM on The AIR. Don’t forget you can learn more about Michele’s views on life and how the spiritual and physical worlds coexist at her website, where you can also find out about her book, Rain No Evil. Then at 2 PM The Best of The Real with Mark Wolfe sees Mark at Create WV. At 3 PM Yours Truly invades Mrs, PopCulteer, Mel Larch’s show, Curtain Call to mark her twenty-fifth episode. We do it with SWING. That’s right, Broadway Swings this week on Curtain Call. You’ll hear Ella Fitzgerald, Louis Armstong, Atie Shaw, Frank Sinatra, The Royal Crown Revue and others jazz up some famous showtunes, and we also bring you numbers that already swing from Hamilton, Aladdin, Young Frankenstein and more. This turned out to be such an epic crossover event that we had to stretch it into a second part, which you can hear next Tuesday on The Swing Shift. Go read the playlist at the bottom of this post. At 5 PM, we encore two of the half-hour episodes of Beatles Blast because your PopCulteer is in deadline purgatory this week. 6 PM sees The NEW MUSIC SHOW, followed at 6:30 PM by the now-daily Crazy Show. At 7 PM we have a replay of Life Speaks, followed at 7:30 PM by Word Association with Lee & Rudy. We shake up our prime-time Wednesday line-up this week, but we still keep Prognosis at 8 PM. Then at 10 PM it’s the debut of Marking Out, a new hour-long show devoted to Professional Wrestling, which comes to us from WMUL radio in Huntington. Hosted by Matt BelVillain and Betty Rock, this weekly show will fill you in on everything you need to know about WWE, NXT, ROH, Impact Wrestling and even the local indy scene. We will be scheduling replays of this show later in the week, but we’re thrilled to have this new addition to The AIR. That’s followed by The Comedy Vault at 11 PM. Then at midnight listeners can settle in for an all-night marathon of weird random stuff I had laying around the program list. All part of the unique programming on The AIR. Part Two of Broadway Swings will debut next Tuesday at 3 PM. Tuesday afternoon gets a little goofy as The Swing Shift brings you unconventional covers handled in the style of Big Band Swing Music. The show kicks off with Richard Cheese and gets stranger from there with Big Band covers of songs by Led Zepplin, The Beatles, Queen, Dire Straits, Poison, Bob Marley and even King Crimson and Emerson Lake and Palmer. Performers include Buddy Rich, Ella Fitzgerald, Big Bad Voodoo Daddy, Woody Herman, Johnny Favourite and more. 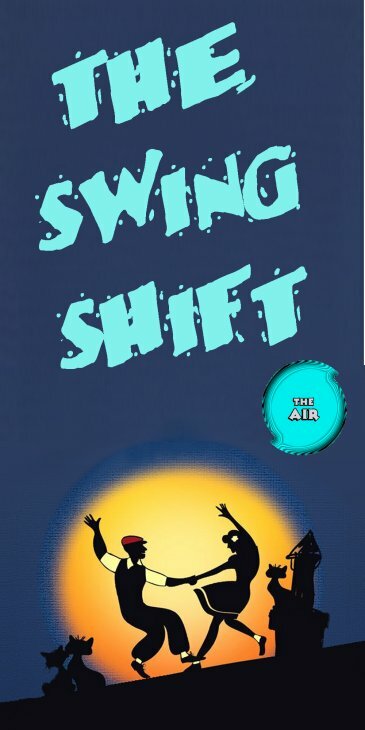 The Swing Shift can be heard Tuesday at 3 PM, with replays Wednesday at 7 AM, Thursday at 7 PM, and Saturday at 9 AM. Plus Sunday at Midnight and Friday at 1 AM you can tune in for all-night marathons of The Swing Shift. This week’s show opens with Pale Nova, and closes with an encore of the song “Bleed” by Scarlet Revolt. We played it for you a couple of weeks ago, but we’re bringing it to you again to celebrate the release of their music video. “Bleed” is a new take on the story of Edgar Allen Poe’s “The Raven,” and the video was directed by Keyamo Onoge. It’s a powerful piece of music and filmmaking and it’s great to see some local bands taking the initiative to make their own music videos. 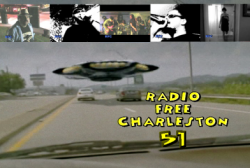 Radio Free Charleston will be returning as a video show soon, but I don’t have the time or resources to produce music videos this spectacular for every show. Radio Free Charleston can be heard exclusively on The AIR Tuesday at 10 AM and 10 PM, Thursday at 5 PM, Friday at 7 PM and Saturday at 10 AM and Midnight. For the sake of brevity (and not angering my bosses here at the Gazette-Mail) we will refer to this program as “The BS Crazy Show,” which is a good compromise. The show itself is uncensored and definitely not safe for work, which is why we’re running our marathon on a day that most people have off from work. Seriously, if you are easily, or even just moderately capable of being, offended, you might want to tune in to other radio stations today. The show itself is a half-hour compendium of audio delights designed to confuse and confound anyone. You will hear everything from classic comedy and novelty records to foul-mouthed celebrity outtakes to bizarre found audio and more. We guarantee at least four “WTF” moments in every episode. We’ve had music from The Bonzo Dog Band, Spike Jones, The Aquabats, DEVO, Oingo Boingo, Phil Harris and more. Comedy bits have made their way into the show by the likes of Monty Python, George Carlin, The National Lampoon, Brain Posehn, Jim Norton and more. Plus we’ve had some absolutely filthy blues songs from the 1920s and 30s, classic outtakes by Orson Welles, Jim Backus, Bette Davis, Barry White and many others. The show is also chock-full-of found audio and absudist edits of things like Vincent Price’s cooking records. Imagine Dr. Demento with Tourette’s Syndrome on acid. That’s pretty much The BS Crazy Show. The marathon begins at 9 AM Monday and runs until 9 AM Tuesday. The BS Crazy Show can be heard every weekday at 6:30 PM, with three new episodes every Saturday night at 7 PM exclusviely on The AIR. Check it out if you’re curious and daring, but remember, you’ve been warned. 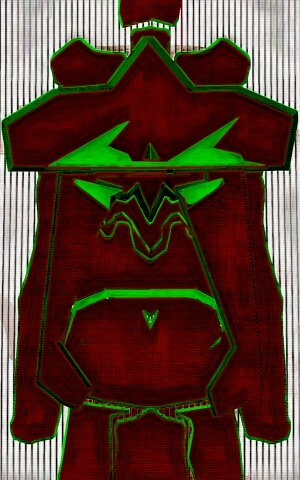 For the duration of the month of May, Monday Morning Art will present two pieces of art by your PopCulteer each week, based on his recent trip to Chicago. 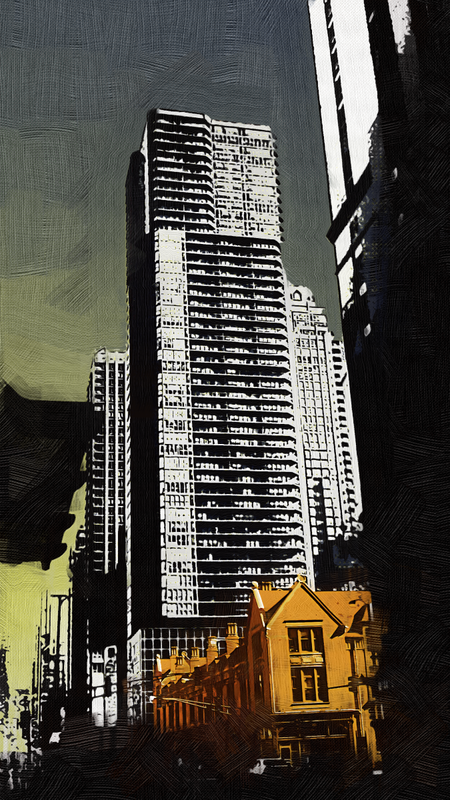 We wrap up our month-long look at art inspired by my recent trip to Chicago with a couple of building portaits, which have been manipulated, painted over, digitally futzed-with and otherwise made to look different than the original photos. 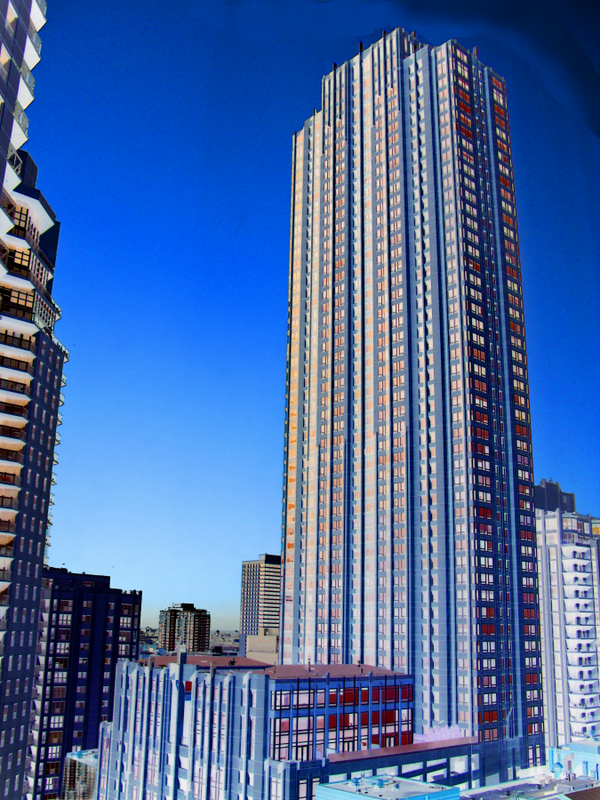 I have no clue which buildings these are. I tell ya, Chicago is lousy with these things. Seriously, they’re all over the place. I ain’t kidding. 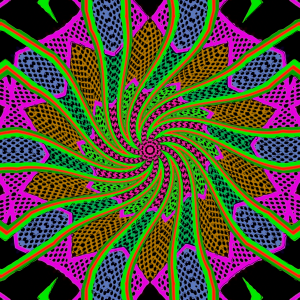 They make for great digital art, though, so I ain’t complaning any. Above you see the bright one. Below is where you’ll find the dark one. Click on them to see the images larger. I’m still trying to decide if I want to do a theme for the month of June. Check back next week to see. Fifty years ago, “The Summer of Love” happened. It was a time when young, idealistic people clashed with a corrupt establishment and pushed for a world where peace, togetherness, love and harmony ruled. Of course, that didn’t happen. As the Hippies grew older, some burned out while most turned their back on their youthful ideals and became just as corrupt, hateful and xeonophobic as the establishment against which they rebelled. In fact, a good argument can be made that the former Hippies became worse than the targets of their scorn. It’s sort of complicated, as you can see in the PBS Experience documentary above. 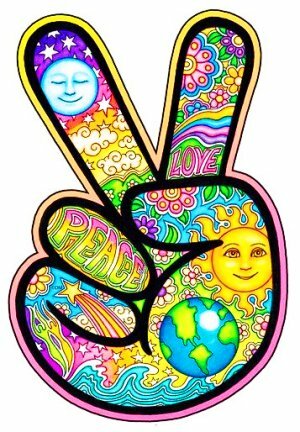 Part of me thinks that we really need a new Summer of Love, but considering the mess we’re in fifty years after the first one, maybe we’re better off leaving that in the past. It would be nice if some cultural touchstone could happen that would make popular music a whole lot better than it is now. Rounding out the show this time is an amazing performance by The Underdog Blues Revue. This was recorded in July 2008, at the last show UBR gave before going on hiatus. This is only one of many bands that Chuck Biel’s has had on the show. Your Popculteer’s imaginary daughter, Kitty Killton, returns in this episode, in a short film by Scott Elkins, and our animation stars the Astonishing Finger Man. You can read the original production notes HERE. Scarlet Revolt is the next evolution of the band formerly known as “Under Surveillance.” With a change of drummers and a more agressive attitude, “Cold Town marks a bold new direction for a bold musical force with a stunning new take on Poe’s The Raven among the powerful songs on this re-debut album. Progessing beyond their heavily New Wave-inflected prior incarnation, Scarlet Revolt offers up a heavier sound that keeps the tight songwriting and ace musicianship, but adds a harder edge with elements of harder rock and heavy metal taking the band into more contemporary musical territory. With all but one song written by guitarist Philip Hatfield, “Cold Town” shows the power of cross-pollination as the band has been touring extensively and sharing the stage with bands that play a variety of styles of music. The new songs show how Hatfield has learned to reach out to a myriad of new audiences, and how that has, in turn, fueled the band’s enthusiasm and energy. “Cold Town” is a very high energy album. Eve Marcum-Atkinson’s vocals give the band a distinctive sound, with a more accomplished vocal style than most heavier-sounding bands feature. It also makes this album a bit hard to pigeonhole stylistically, which is a good sign that something new is being created here. Struggling to find a musical comparison, I would offer up the high praise that fans of Blue Oyster Cult will find a lot to love here. Standout tracks include the title song, “Cold Town, “Bleed,” a wild song based on Edgar Allen Poe’s The Raven, and “Secrets,” which retains some of the old Under Surveillance New Wave edge while still cranking up the rock quotient a bit. There isn’t a bum song in the bunch, which is a rare thing these days. “Cold Town” is a great album from top to bottom. The rhythm second of Phil Crace and new drummer, C.J. Davis anchor Scarlet Revolt, making for a band that’s the complete package, with chops, great vocals and solid songwriting. Scarlet Revolt will be hosting a premiere party for the video for their song “Bleed” Sunday at The Empty Glass. There’s no cover and festivities begin at 7 PM. You can purchase the “Cold Town” CD there, or order it from Amazon or other online retailers. PopCult will keep you posted on their other upcoming local shows. You can also hear Scarlet Revolt’s songs on The AIR, as part of Radio Free Charleston (Tuesdays at 10 AM and 10 PM) and in the New Music Show rotation each weekday at 6 PM. And look for more CD reviews in PopCult in the coming weeks. The unofficial beginning of Summer is this weekend. Weather permitting, the Vandalia Gathering will take place on the grounds of the State Capitol, which is the only productive thing being accomplished there these days. Welcome to a barely-organized PopCulteer that goes in no particular direction. 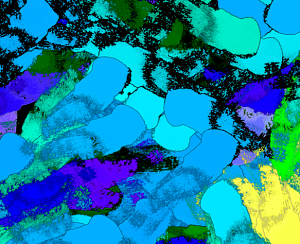 Today’s post is illustrated mostly by random images from my unused art files. June is shaping up to be a big month for cool stuff. Your PopCulteer will be travelling to Louisville for WonderFest and to Wheeling for The Marx Toy Convention. I’ll tell you more about those events as they draw near, and I’ll return with plenty of photos and video to share. Live On The Levee, again weather permitting, returns Friday night and it’s cool that we have such a wonderful free music festival here in our ever-shrinking town. I posted the schedule HERE, in case you need to double-check. Court Street Live, the Charleston Town Center’s pre-show for Live On The Levee returns in June with this great line-up: The Horse Traders on June 2; Qiet on June 9; The Ryan Kennedy Trio and 3 Men and a Baby (Grand) on June 16; Rubber Soul on June 23; and Beggars Clan on June 30. All great musical acts, all local and all free. Many people have been asking, so let me assure you that my cataract surgery went perfectly well. I’ve got a lot of stuff to get used to–not needing glasses most of the time for the first time since I was a child. I am having glasses made to correct the double-vision that I have lingering from my bout with Myasthenia Gravis, but it’s not like I’m not used to wearing them. It’s really only an issue outside or while I’m driving. Thanks again to Dr. Muhib S. Tarakji and his talented crew who made this whole process a breeze. I haven’t been talking much about TV of late, but this season of Archer, which wrapped up Wednesday night, was particularly brilliant. I plan to beef up the non-radio-plug posts here in PopCult in the coming weeks, now that my eye issues are in the rear-view mirror. In case you were wondering where The PopCult Toybox and The PopCult Bookshelf had gotten off to. I’ll be bringing you more news and reviews. 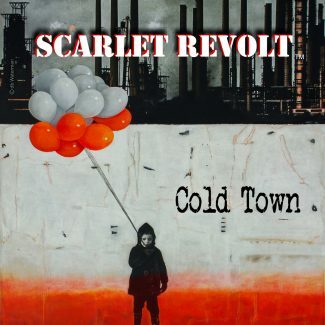 Speaking of which, look for my review of Scarlet Revolt’s new CD, “Cold Town,” later Friday or early Saturday. Stepping just outside the realm of Pop Culture for a moment, I really like the fuel points reward program at Kroger. If you load the right digital coupons to your loyalty card and watch for weekends (like this one) where, with a digital coupon, you can get four times the points you would normally get for buying a gift card, it’s no problem to save a dollar a gallon on a full tank of gas (or two, if you’re resourceful). It makes road trips more fun when you’re paying a little over a dollar a gallon for gas. You can buy gift cards for places where you’d spend money anyway and just use them yourself. I want to take a moment to pass along PopCult’s condolences to the friends and family of Rich Buckler, one of the unsung greats of the comic book world, who lost a long bout with cancer last weekend. Buckler made a huge mark at Marvel and DC and leaves a legacy of great storytelling. Friday, May 26, is the day that the deluxe 6-disc reissue of The Beatles’ “Sgt. Pepper’s Lonely Hearts Club Band” comes out. So I won’t be answering the phone tonight. 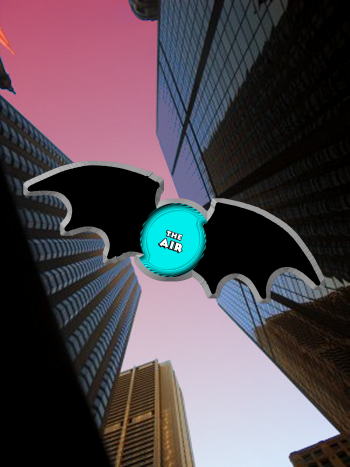 You’ll want to stick around for a new (to The AIR) episode of Radio Coolsville, with DJ Betty Rock, at 5 PM, and then at 9 PM you get a FULL HOUR of The Third Shift with Jay and Jarod. 10 PM sees a replay of Radio Free Charleston International, and at midnight we’re going to run episodes of The Empty Glass program, Six Degrees of Separation, hosted by Tim and Roadblock. That’s interviews and music with local musicians all night long. Saturday we replay all of our specialty music programs all day long, topped off by three new episodes of The (BS) Crazy Show at 7 PM. At 8:30 PM you get another chance to hear Jay and Jarod on this week’s The Third Shift and at midnight, it’s our weekling local music overnight marathon of Radio Free Charleston. And with that, this PopCulteer is in the books. 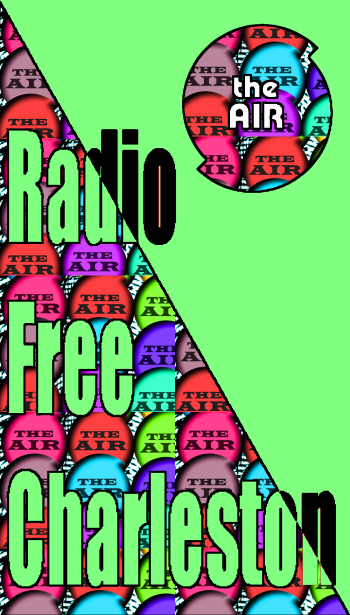 Check back for our regular features and please go try out our internet radio station, The AIR. If you think that headline means that we’re bringing you reruns all day on The AIR….well, you’re right. Your PopCulteer has been taking it easy for the last few weeks while undergoing cataract surgery, and this week has been all about working on outside projects (AKA “paying work”) so Thursday is going to, once again, be a day for you to catch up with some of the wonderful programming you may have missed on The AIR. Starting at 7 AM you’ll get replays of Curtain Call, Ska Madness and Sydney’s Big Electric Cat. Then at 3 PM, tune in for an episode of Radio Free Charleston from March, where we opened with new music from Chuck Berry! You can then listen to this week’s new Radio Free Charleston, with all-new music from Pale Nova, Scarlet Revolt and more at 5 PM, and The New Music Show at 6 PM , The Crazy Show at 6:30 PM. In prime-time, it’s this week’s episodes of The Swing Shift and Curtain Call, followed at 10 PM by Live From The Empty Glass (this week with Unknown Hinsn and Southern Culture on the Skids). All night long after that, it’s a marathon of The Swing Shift. We plan to have The AIR running on all cylindars next week, after a special Monday marathon of The (censored) Crazy Show. Still, we hope you’ll check out our humble little internet radio station. We make it just for you.